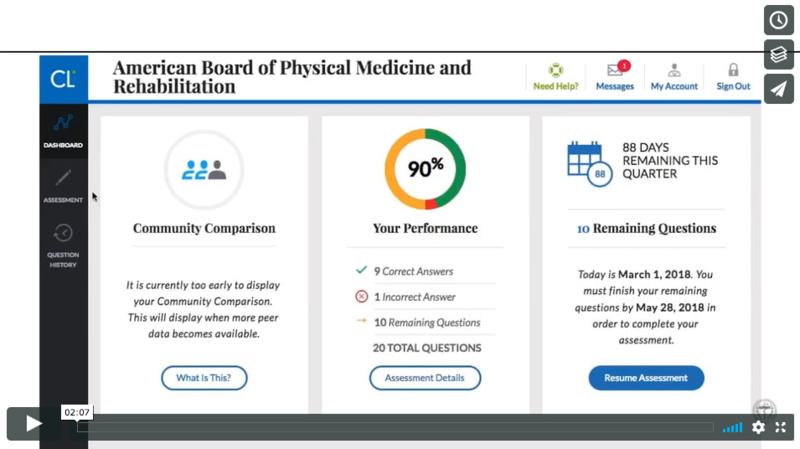 Over the last few years as we’ve been gathering diplomate input on the current ABPMR Maintenance of Certification (MOC) Program, they’ve said they want a more relevant, more meaningful, and less burdensome way to keep up with their certification requirements. The ABPMR has been deliberating on the best way forward that accomplishes those goals while upholding the quality standards that board certification represents. 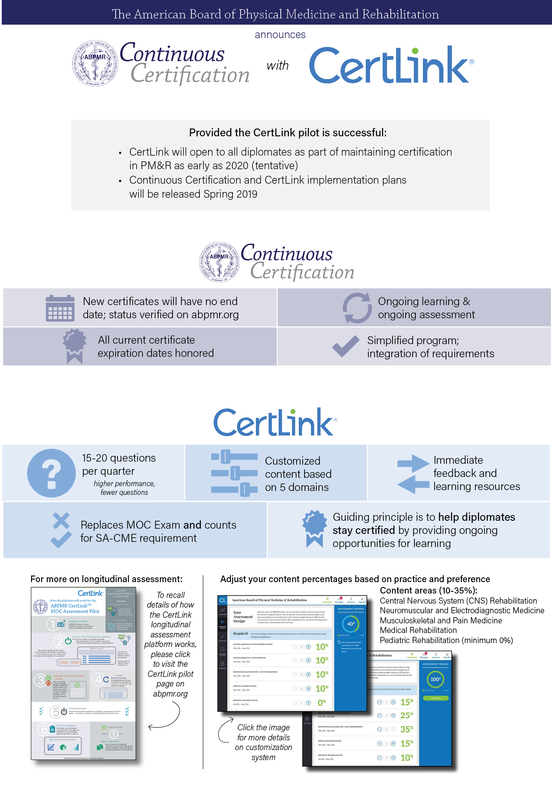 Today, the ABPMR is announcing that we hope to accelerate the current CertLink® longitudinal assessment pilot, with plans to open the platform to all diplomates as early as 2020 (tentative). This is part of a transition to a new Continuous Certification Program, which will replace the current MOC Program. Next spring, we’ll be sending personalized instructions to our diplomates so they know how these implementation plans will affect them based on their current certification cycles and requirements.